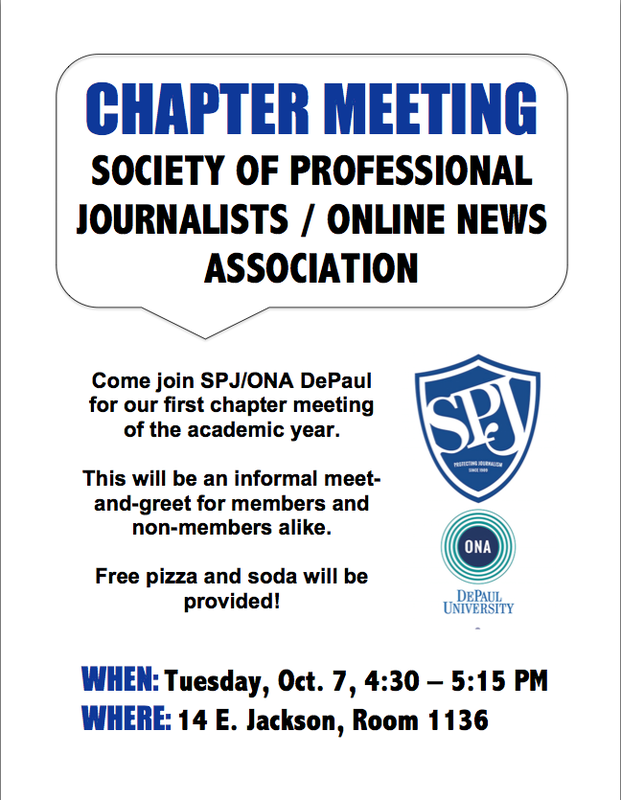 Join SPJ/ONA DePaul for our first chapter meeting of the school year next Tuesday. We’ll have free pizza, pop and snacks, plus other freebies you won’t want to miss. This is the perfect time to learn more about the organization and chat with current members. Everyone is welcome, member or not. See you next Tuesday! When: Tuesday, Oct. 7, 4:30 p.m. to 5:15 p.m.